Caterham Cars has joined forces with RS Performance to offer the ultimate Seven. RS Performance is an engineering house. Born out of the passion and pedigree of its founder, Russell Savory, it will offer an ‘everything is possible’ service to Caterham customers wanting cars truly ‘built to order’. Using the motorsport-honed Caterham chassis and benchmark technology as a cosmetic and engineering base, RS Performance, will “turn imagination into reality,” says Savory. With more than 16 years of development behind it by Russell Savory, the 40-valve, 2.4 litre RST-V8 engine reliably delivers an incredible 400bhp in normally aspirated mode, or over 500bhp as a supercharged varient, whilst weighing only 90kg in full running gear. 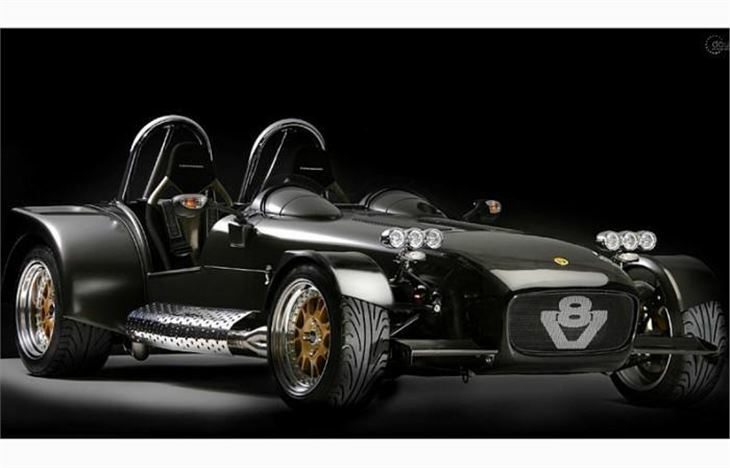 The lightness of the RST-V8 matched to the already featherweight Seven chassis delivers a power-to-weight ratio of over 1000bhp per tonne – more than double of a Bugatti Veyron. The RS Performance badge will sit alongside the established, and soon to be expanded, Ford powered Caterham Seven range.